First Squad detectives are investigating an Attempted Robbery that occurred on January 25, 2014 at 6:35 pm in Freeport. Freeport, NY - January 26th, 2014 - First Squad detectives are investigating an Attempted Robbery that occurred on January 25, 2014 at 6:35 pm in Freeport. According to detectives, while walking westbound on Leonard Avenue, the 39 year old male victim was approached by five male black subjects who appeared from the bushes on the corner of Hope Place and Leonard Avenue. After demanding that the he empty his pockets, the victim, who ran eastbound on Leonard Avenue, was chased and caught by Rogers Avenue. One of the subjects then struck the victim in the face with a tree branch causing him to suffer a laceration. The subjects then fled the scene in an unknown direction. The victim, who was transported to an area hospital, receives stitches for his injury and was released. He described the subjects as being between the ages of 20-23 years old, 5’7” to 6’3” tall wearing all black. 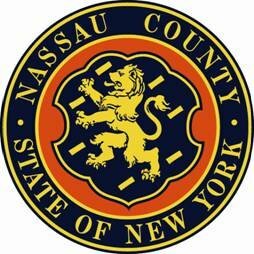 Subject: LongIsland.com - Your Name sent you Article details of "NCPD Crime Alert: Five Men Wanted for Attempted Robbery in Freeport"